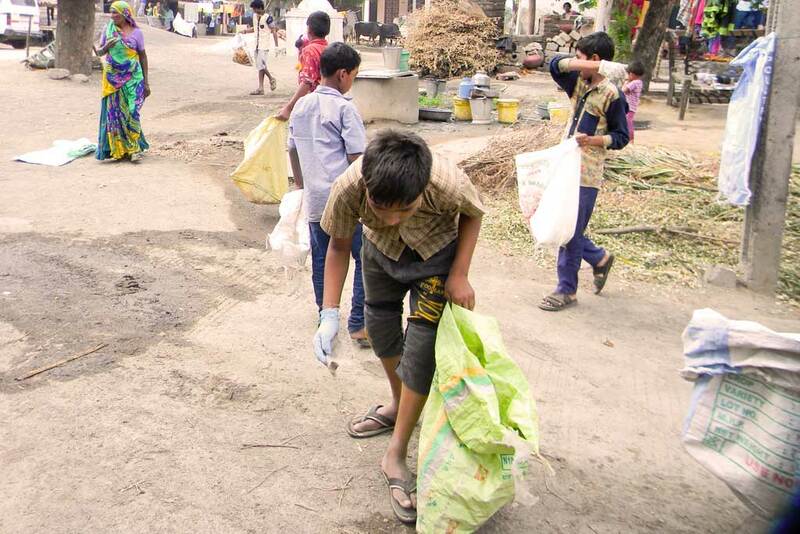 In Nani Borvai, Gujarat, there is a new commitment to make the village free of piles of plastic waste in streets, fields and such places. Across India, this issue has reached epic proportions. Bharat, a young man from the village, attended Amrita SeRVe’s first Waste Management Course earlier this year. 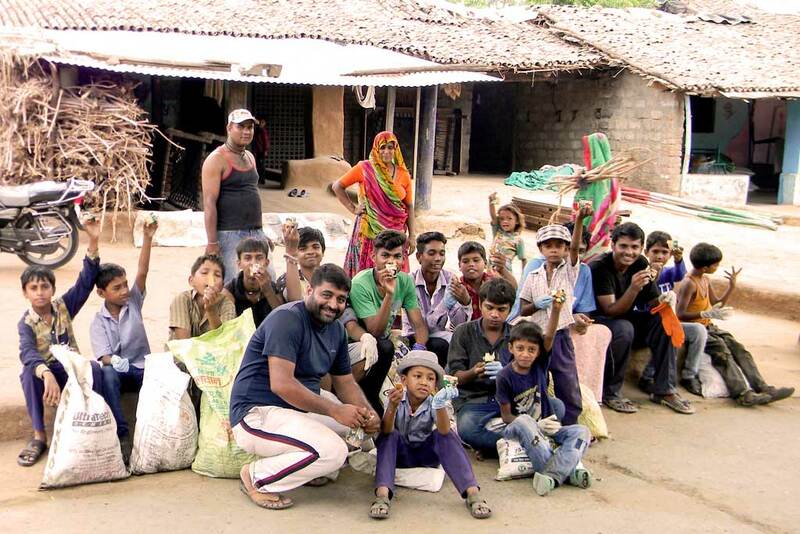 When he returned home, he had a drive in his heart to achieve the goal of cleaning his home of plastic waste. He and Amol, the Amrita SeRVe Fellow there, formed a group and they started by collecting information on how waste was moving through the village. They also formed an Amala Bharatam Team, Amma’s campaign on cleaning India of waste. The team also set up 20 zero-cost dustbins throughout the community, spacing them every five to ten houses. This gives villagers a specific place to dispose of waste plastic. In order to collect the waste from the bins and store it, the team appointed five monitors throughout the village to form teams of youth to help out. But what to do with the plastic from these bins? The solution to large-scale disposal was a challenge. Many waste collectors were contacted in nearby towns, but were not able to agree. However, after many unsuccessful attempts, the team found a collector in Dhansura who said he would buy the plastics for Rs 5 per kilogram. A small challenge remains: this collector will not be able to collect until after the monsoon. So, for the time being, a storage solution has been found within the village itself.